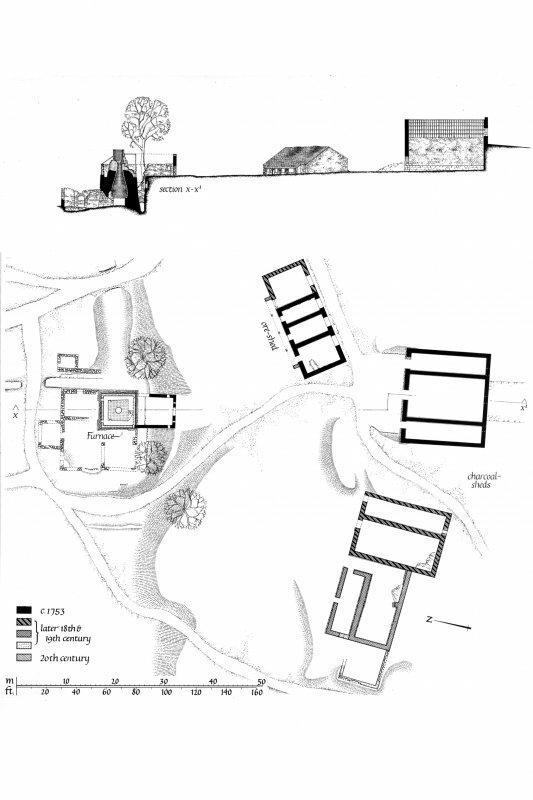 Reconstruction showing Working Principles and Section as existing, looking East Insc. 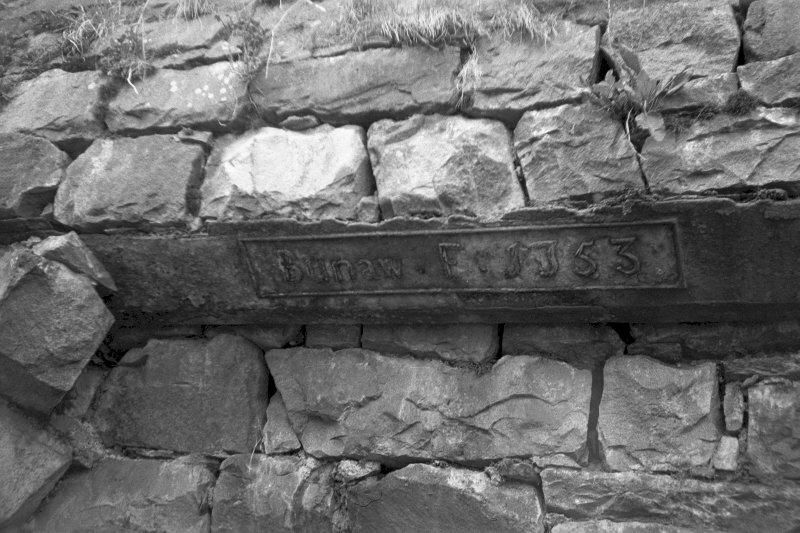 "GDH"
Argyll, Bonawe Ironworks, Lorn Furnace. 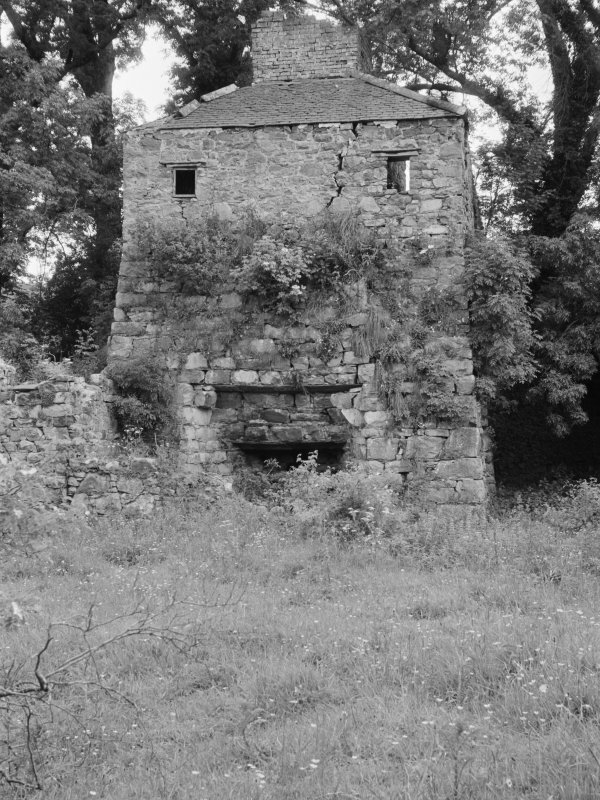 General view of furnace from North-West, after preservation. 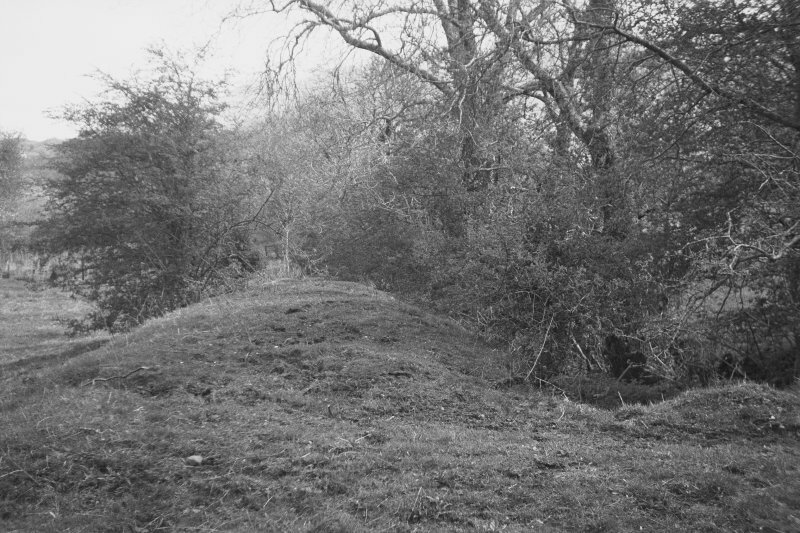 Digital image of A/63142. 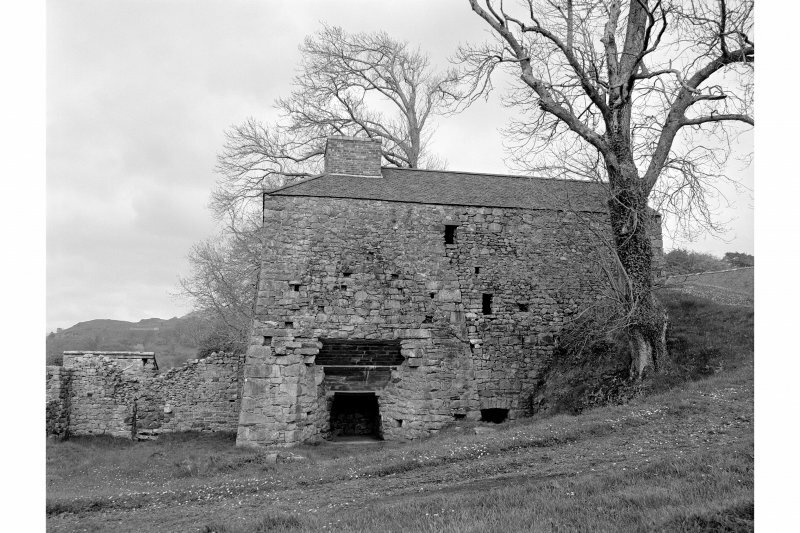 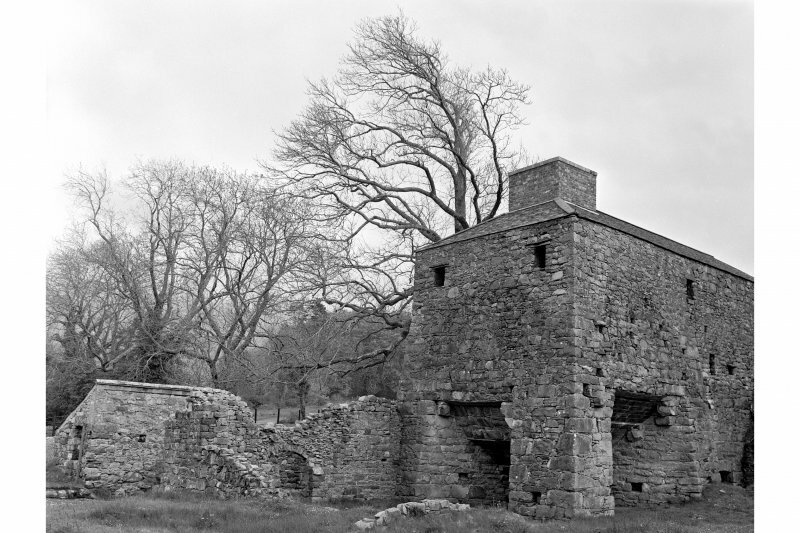 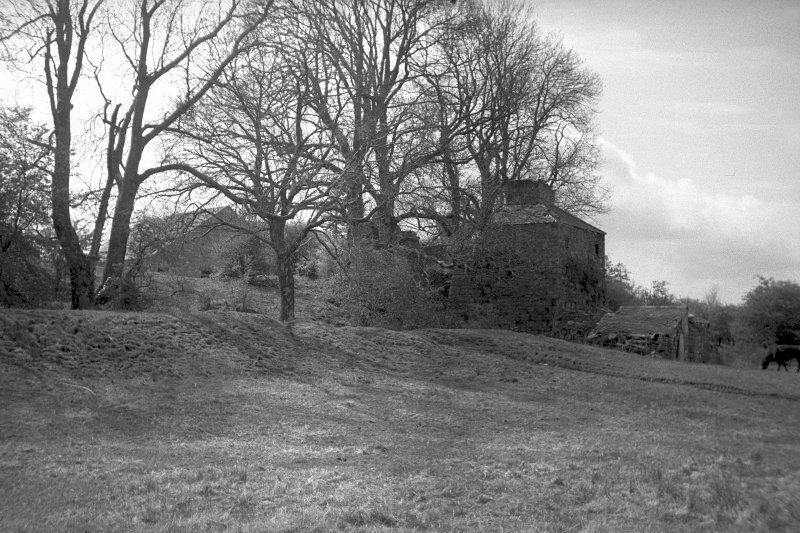 View of Bonawe Ironworks furnace from North-West. 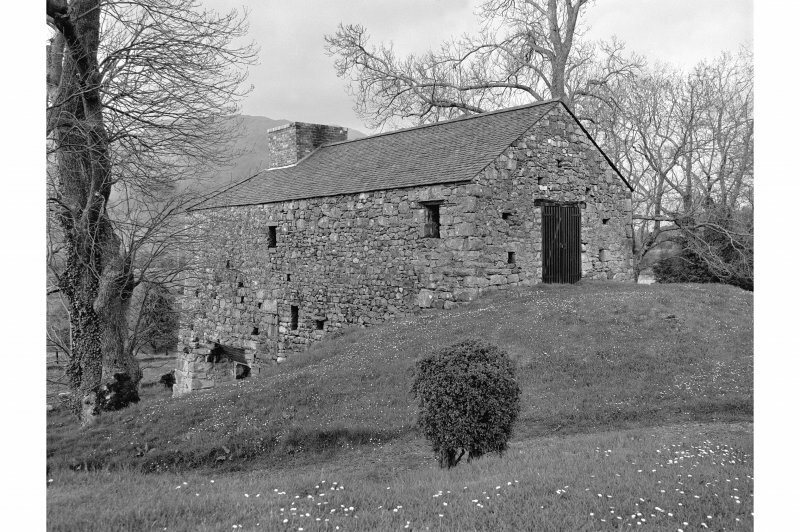 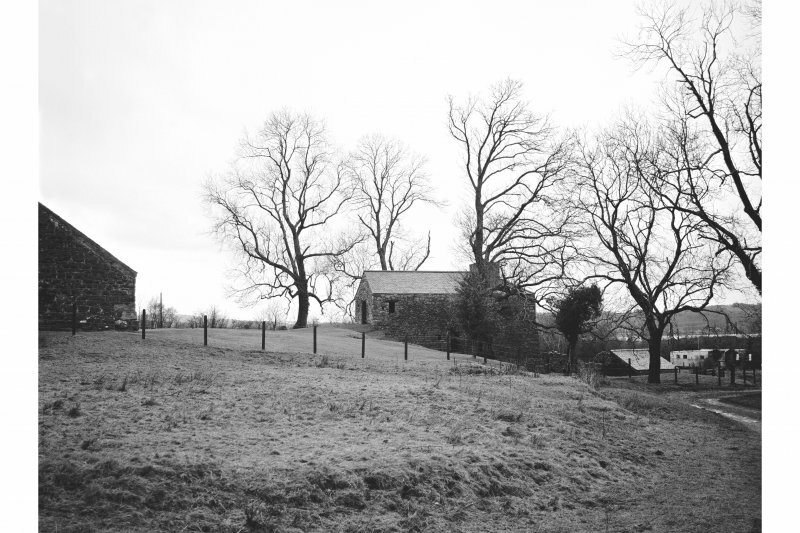 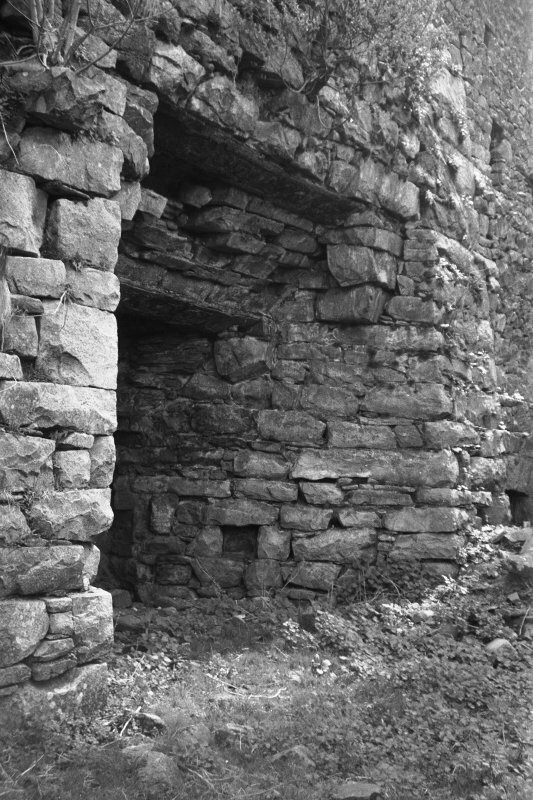 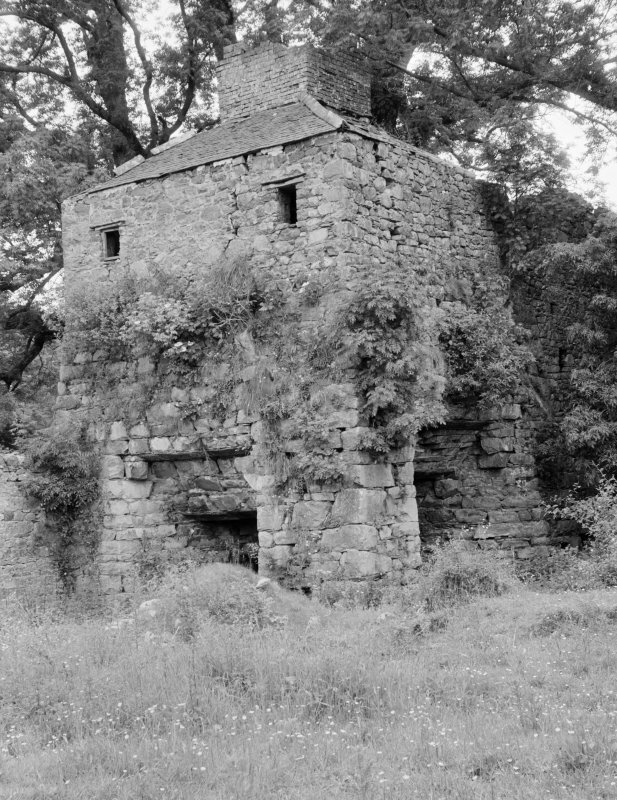 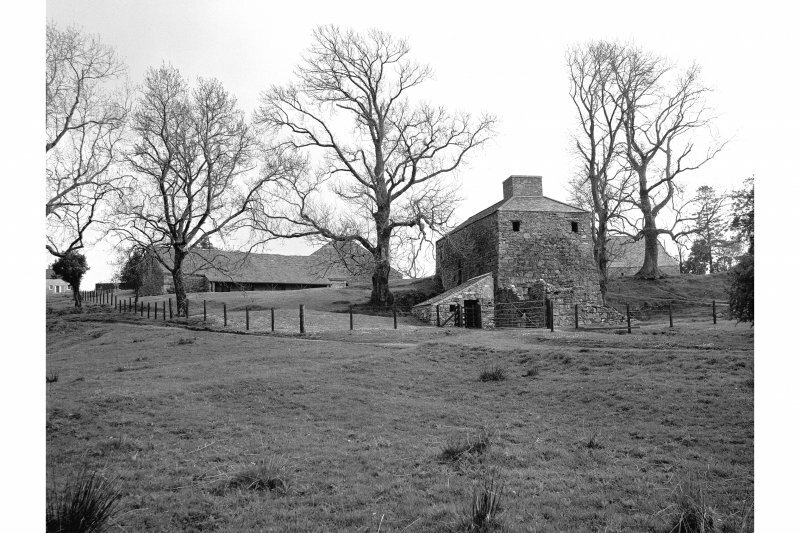 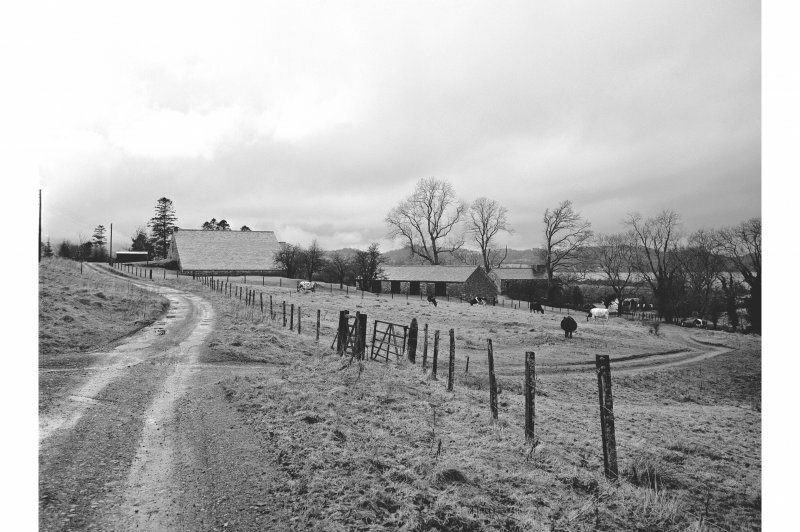 Insc: 'Lorn Furnace (Built 1745) Taynuilt. 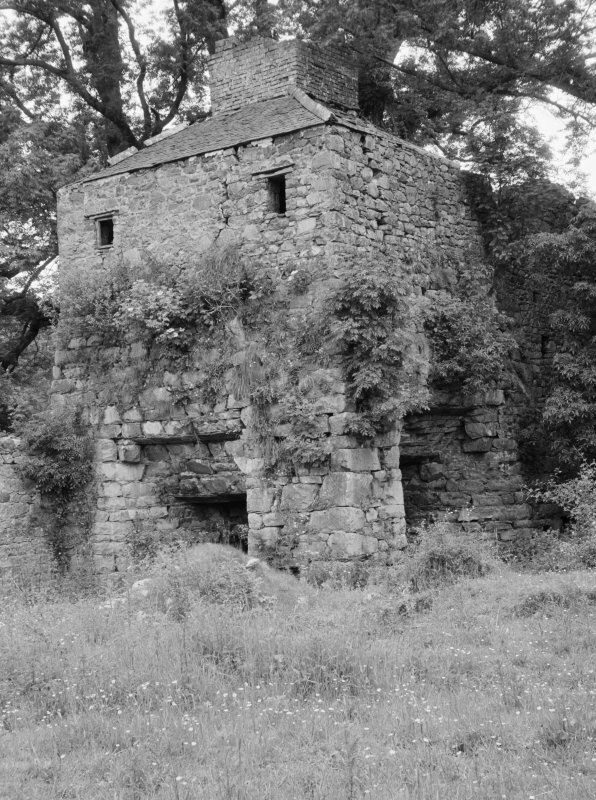 61389. 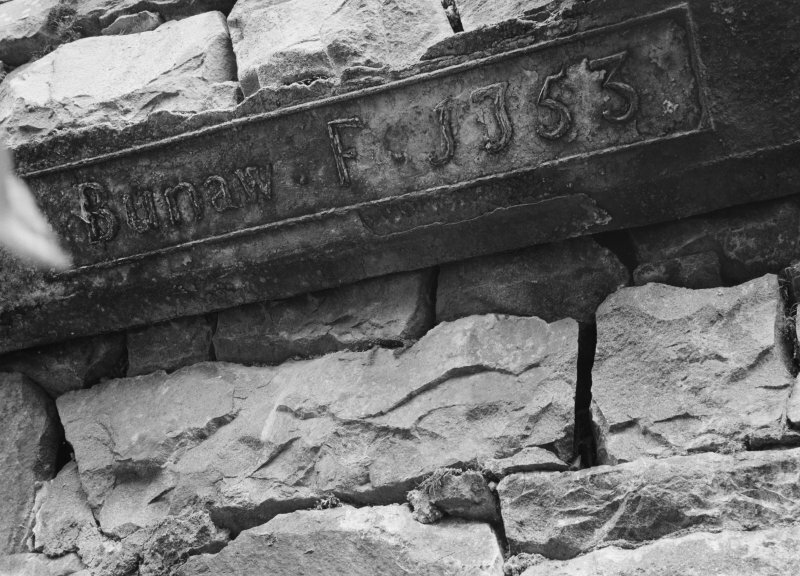 J.V.'. 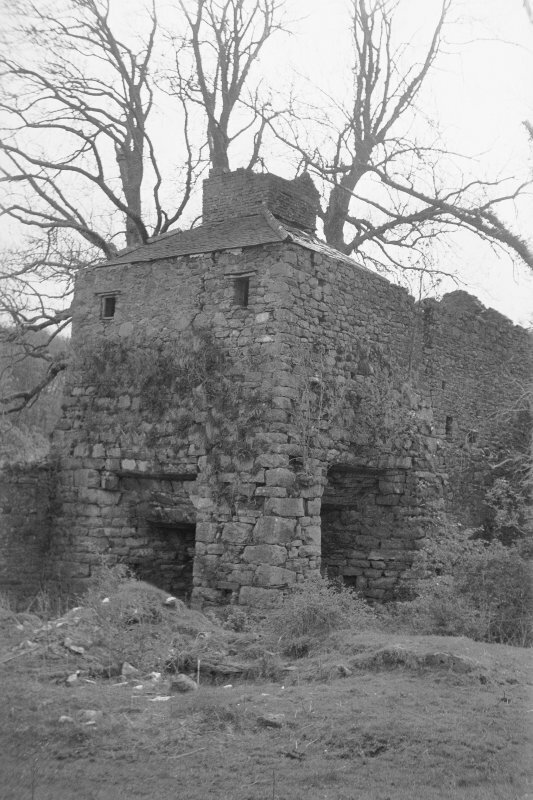 Argyll, Bonawe Ironworks, Lorne Furnace. 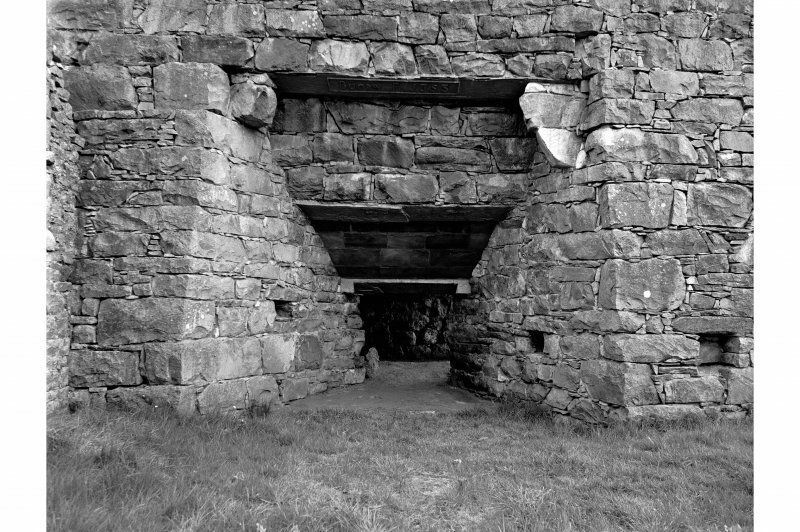 Upper Plan of furnace. 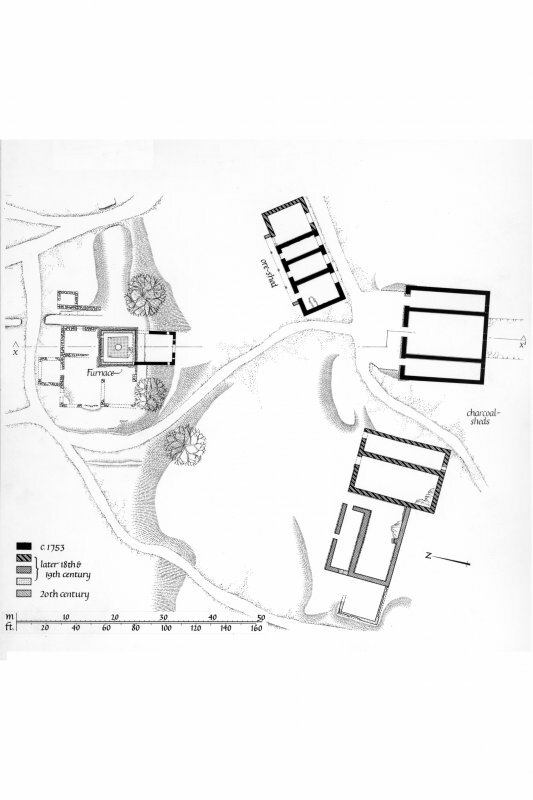 Section X-X1, and Plans u.s. u.d. 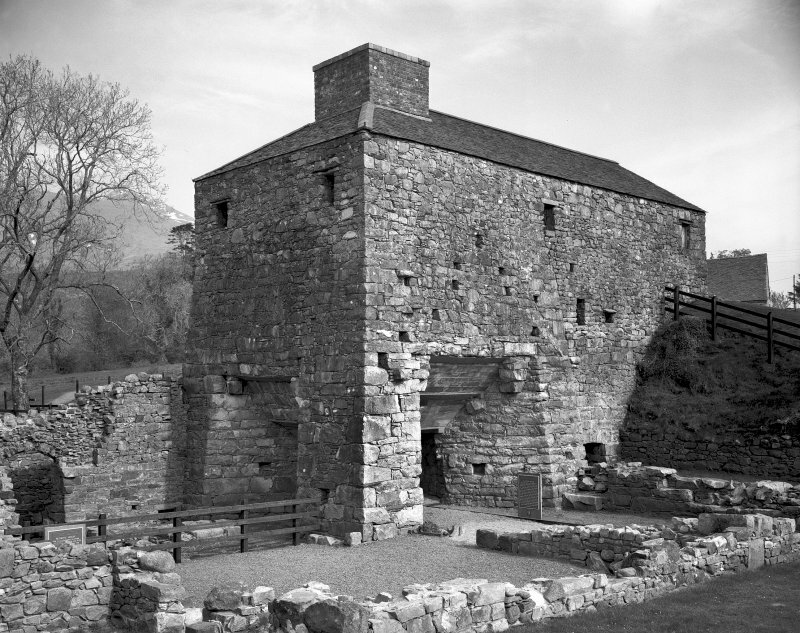 Argyll, Bonawe Ironworks, Lorn Furnace. 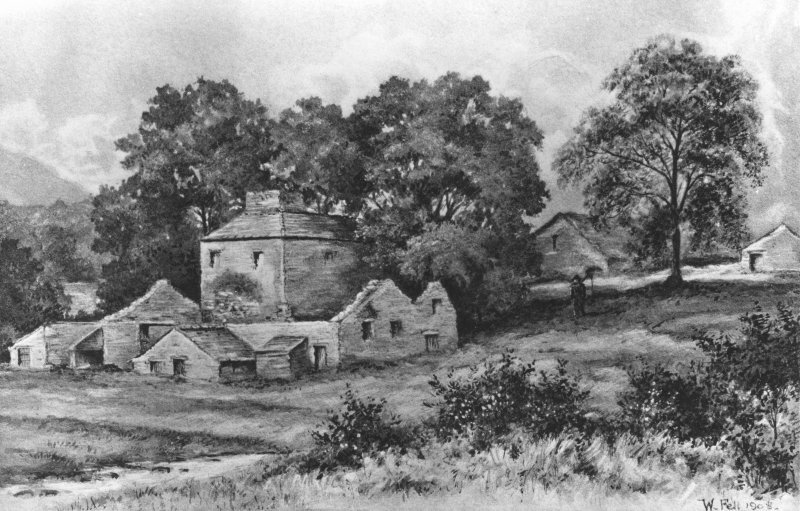 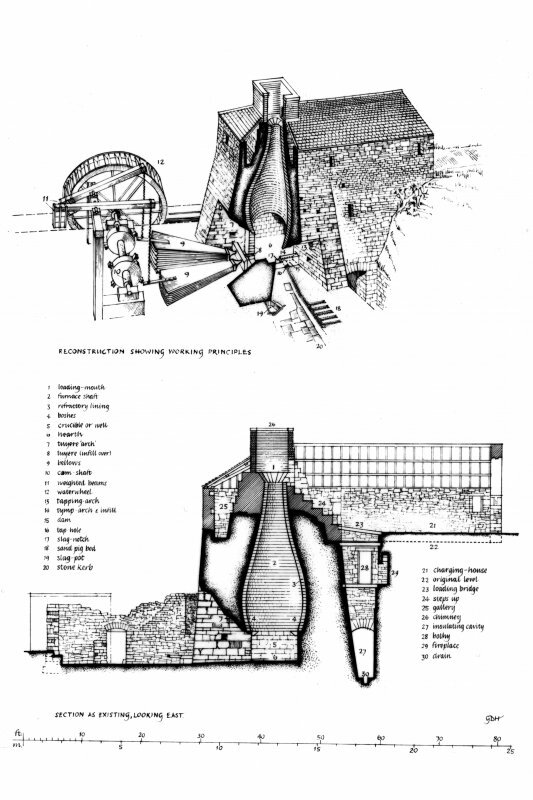 Drawing of a general view of furnace. 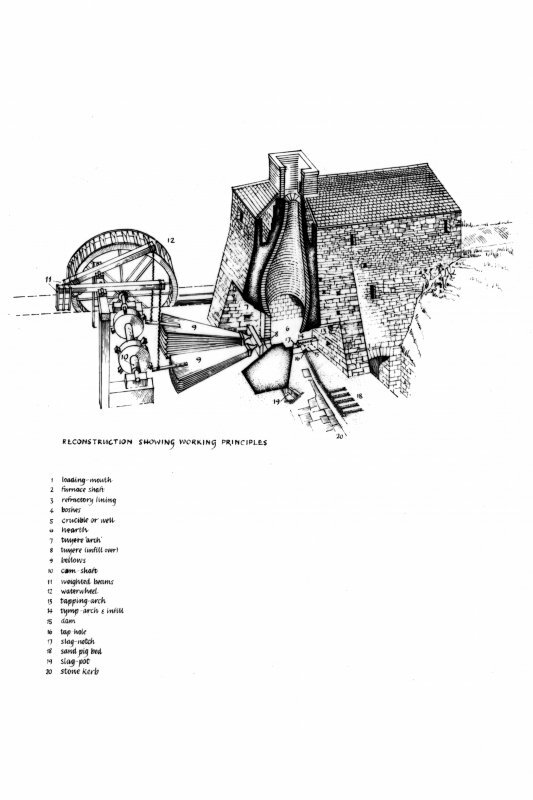 Drawing of Bonawe Ironworks showing reconstruction of working principles and section as existing, looking East Insc. 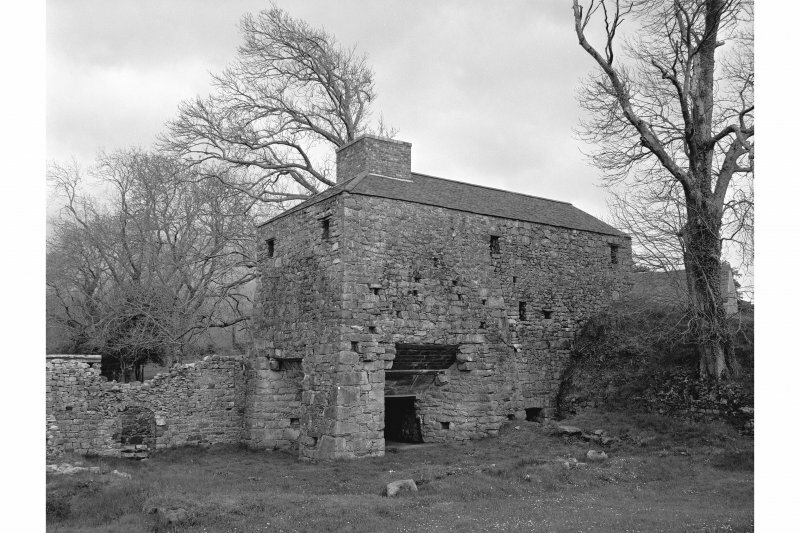 "GDH"
Established in 1752-3 by Richard Ford and Company, Bonawe Ironworks produced pig iron from haematite ore. 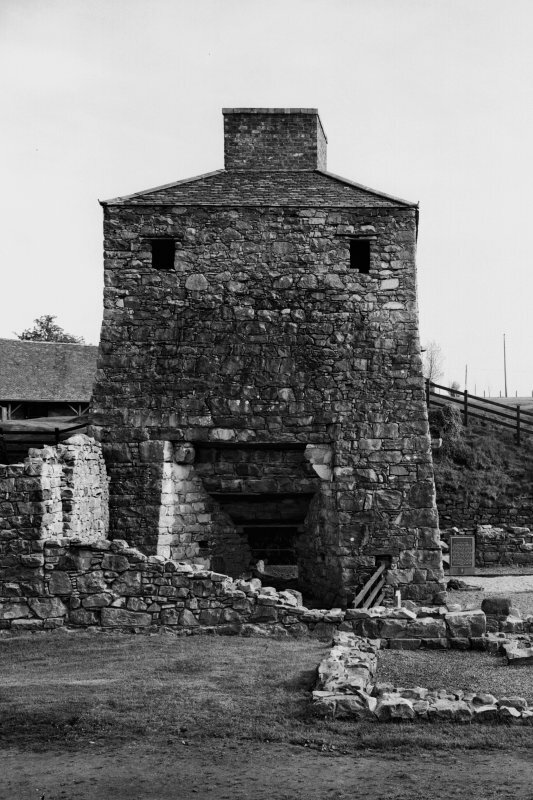 In addition to the furnace and storage sheds of the ironworks, the company created an infrastructure for workers that included housing, a school and a church. 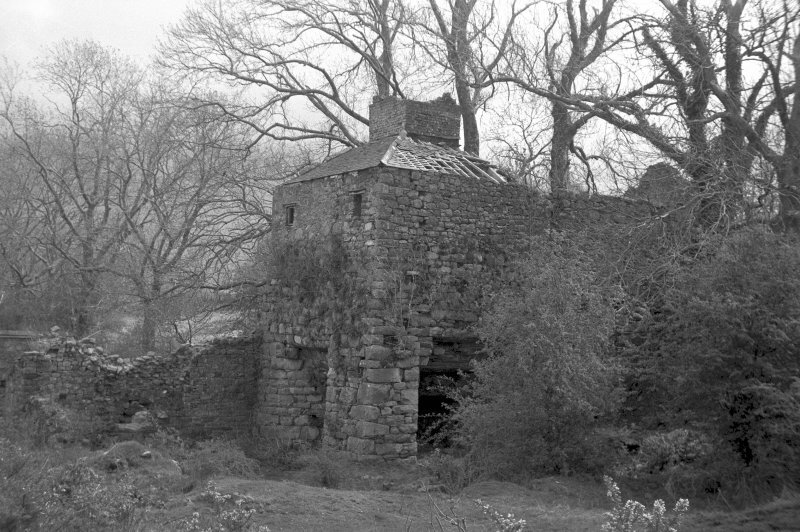 Rights to nearby woodlands were negotiated with landowners in order to produce the charcoal necessary for the smelting process. 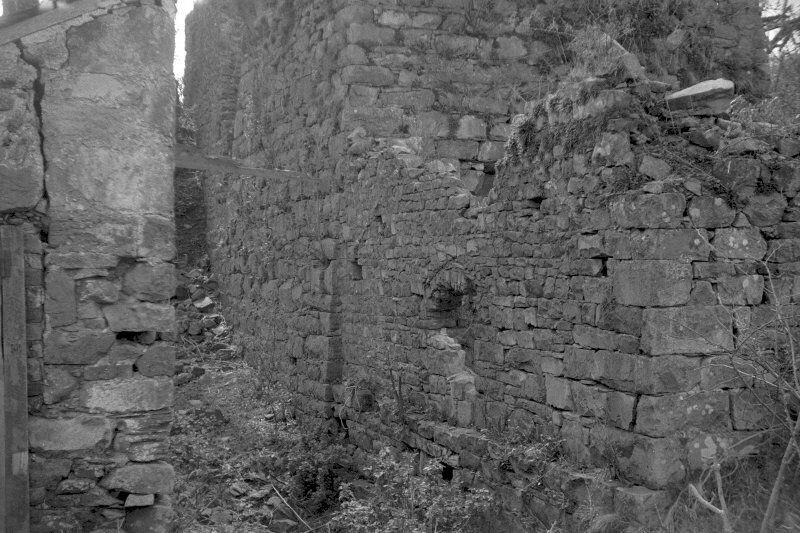 The ironworks closed in 1874, some buildings subsequently falling into ruin. 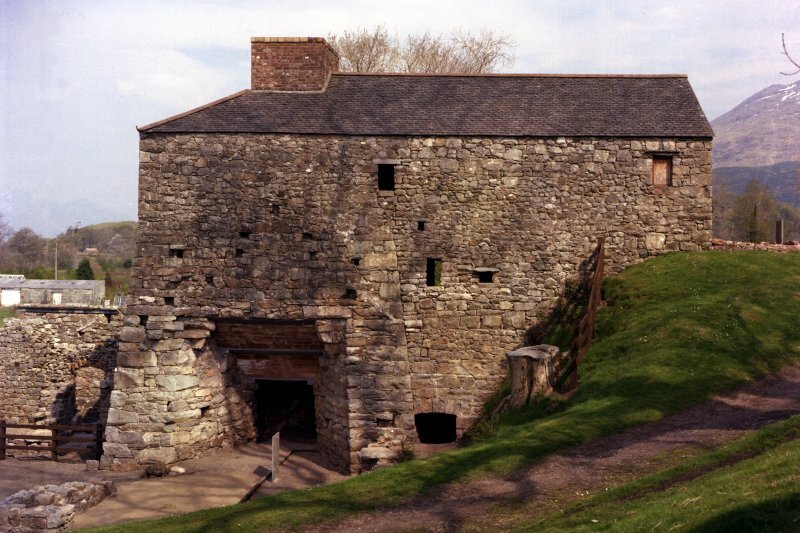 The remaining structures, including the furnace, have been preserved and are open to the public. 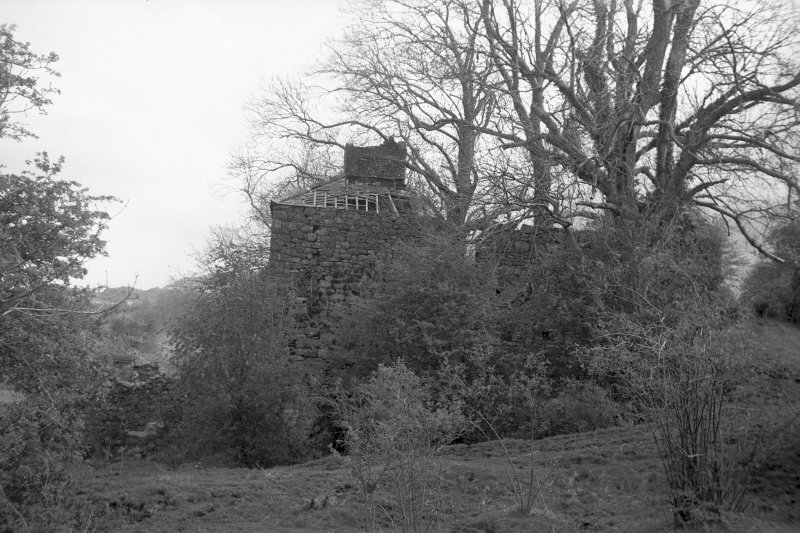 Erection of furnaces and forges at or near Bonaw in Argyllshire. 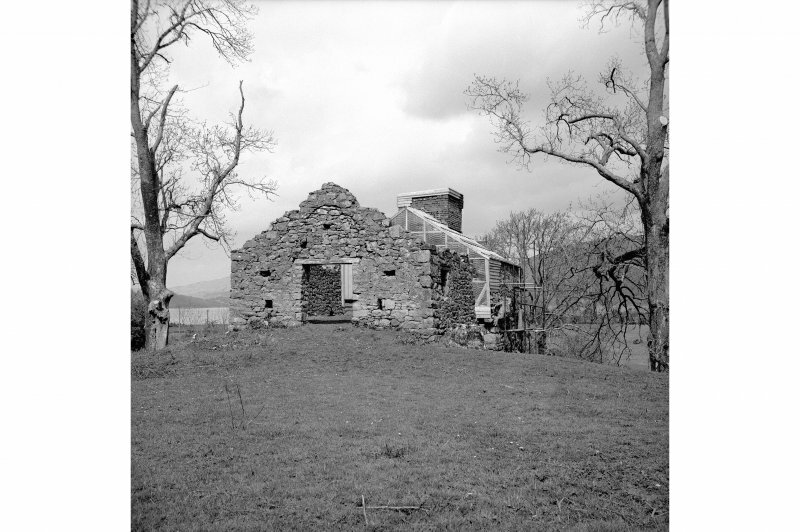 Contract between Sir Duncan Campbell of Lochnell on the one part and Richard Grizedale, Lancashire and others, (ironmasters). 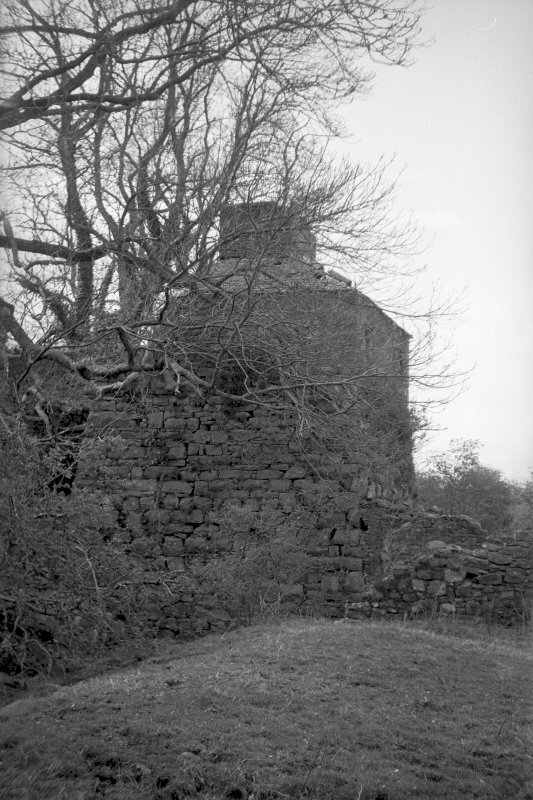 NN 0098 3187. 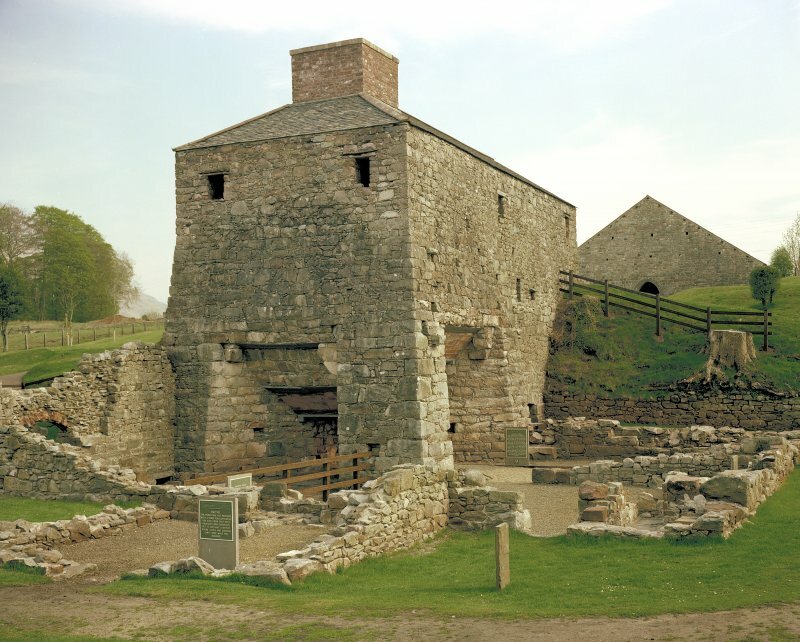 A watching brief was conducted in June 1998 during the excavation of a drainage trench on the S side of the western charcoal shed and the digging of post-holes for a fence around the lade below the furnace. 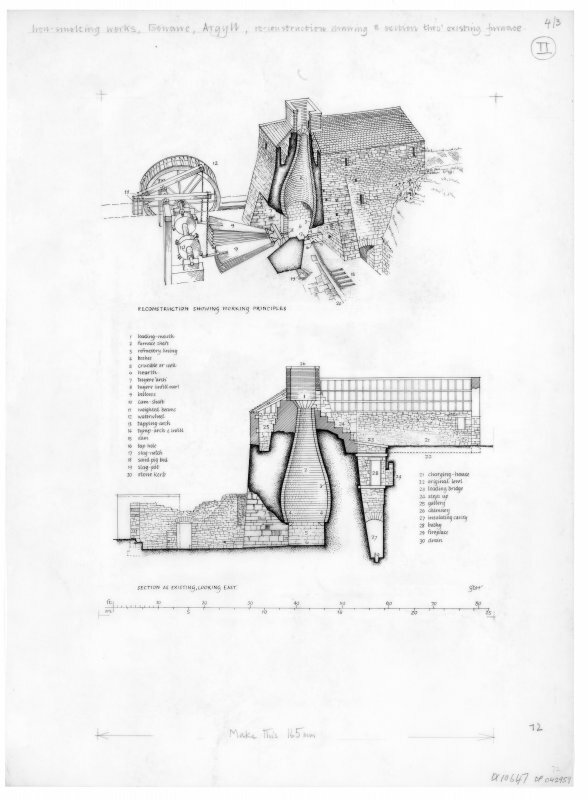 The work was recorded by photographs, notes and measured sketches. 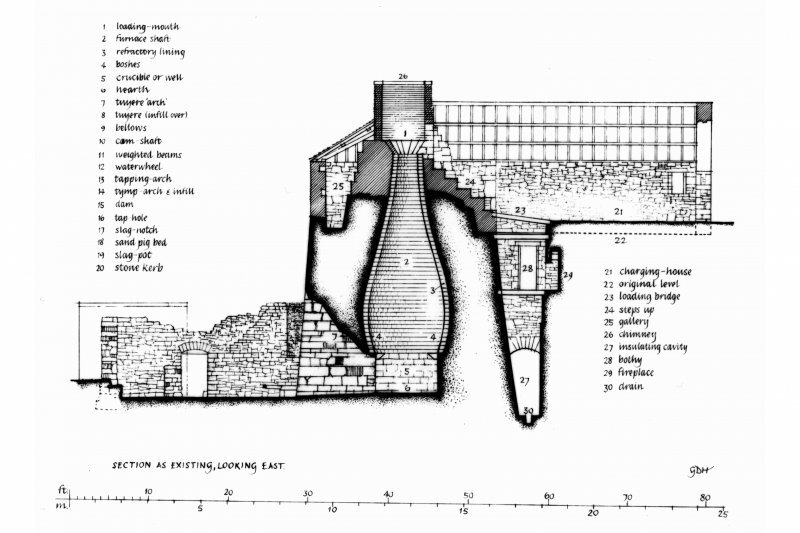 Although the holes and drainage trench were too small to result in any detailed conclusions, they were useful in showing the general types of deposits around the site, especially the presence of well-preserved organic matter to the S of the western charcoal shed. 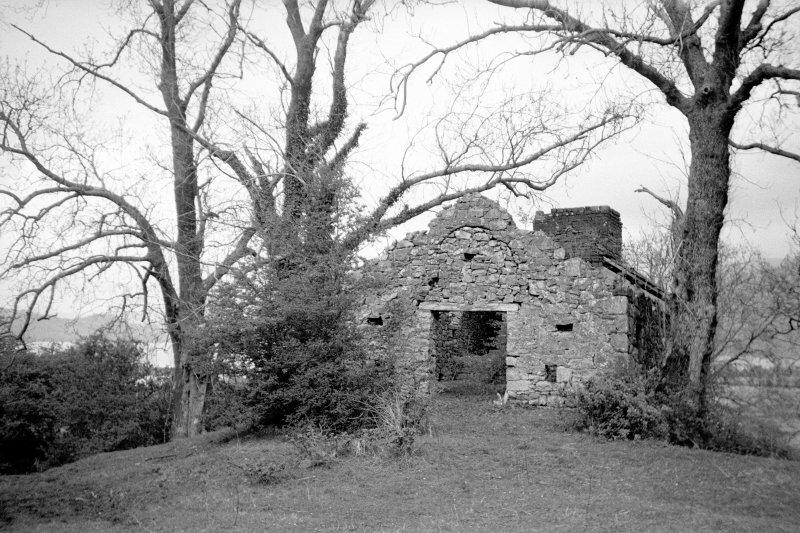 (Location cited as NN 093 318). 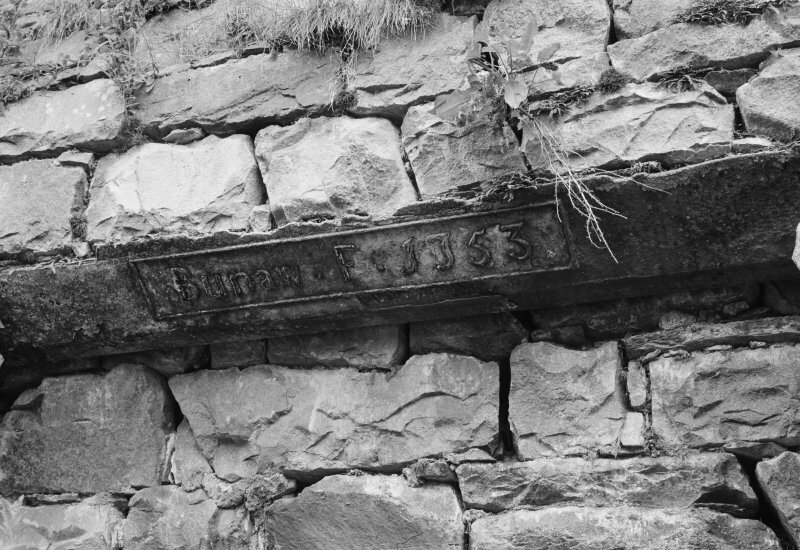 Founded 1752 by Richard and William Ford, James Backhouse and Michael Knot; the most important monument of the early Scottish iron industry. 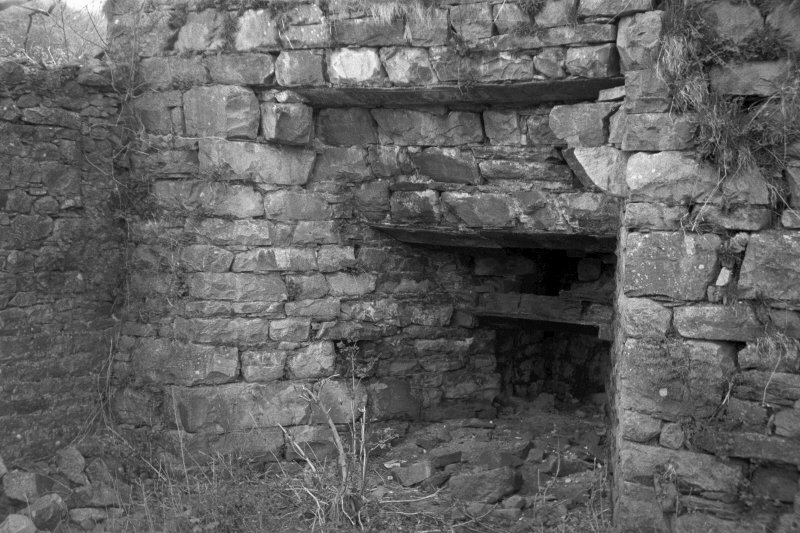 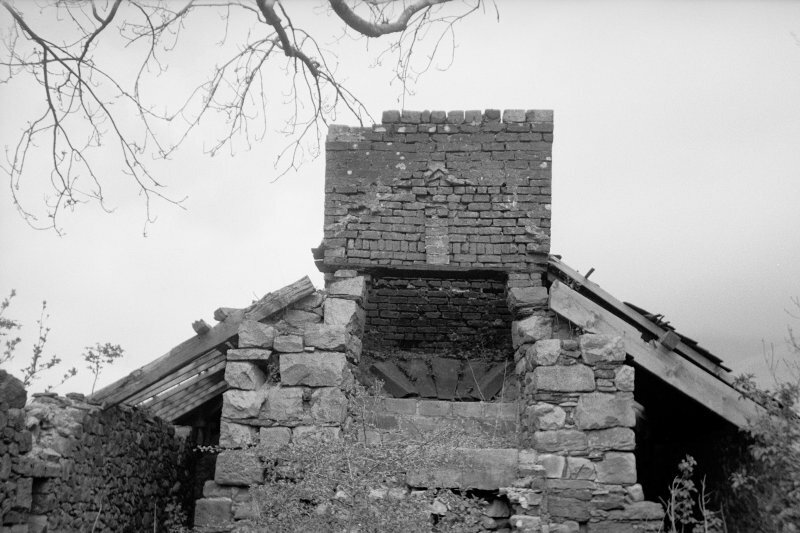 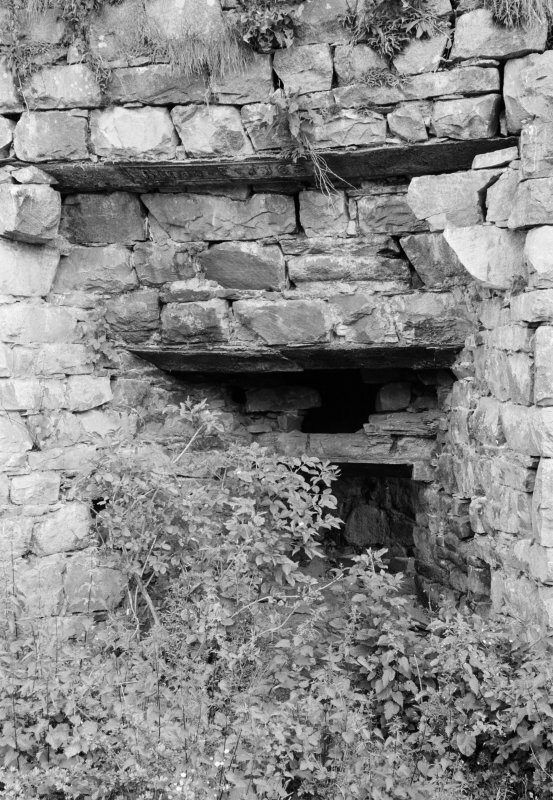 The furnace is square in plan, rubble-built, with a brick stack; the lower part of the lining is missing. 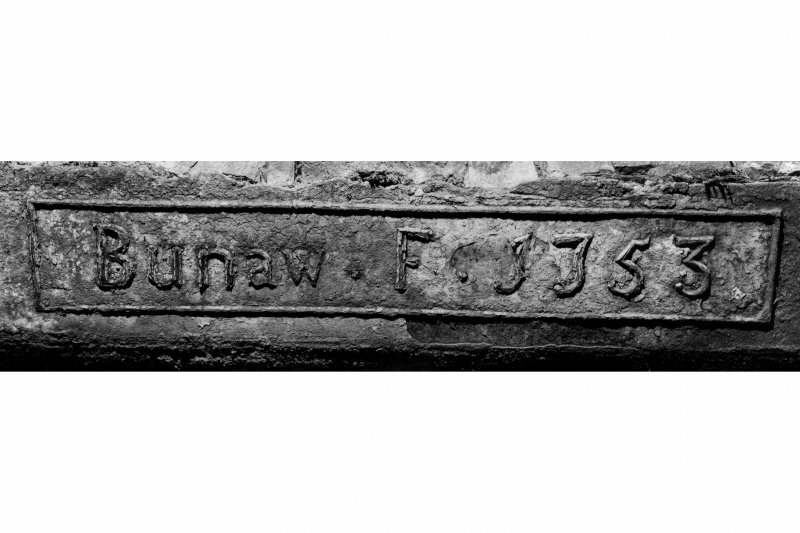 The lintels above the tuyeres arch and tap hole are cast iron, one bearing the inscription 'Bunaw F 1753'. 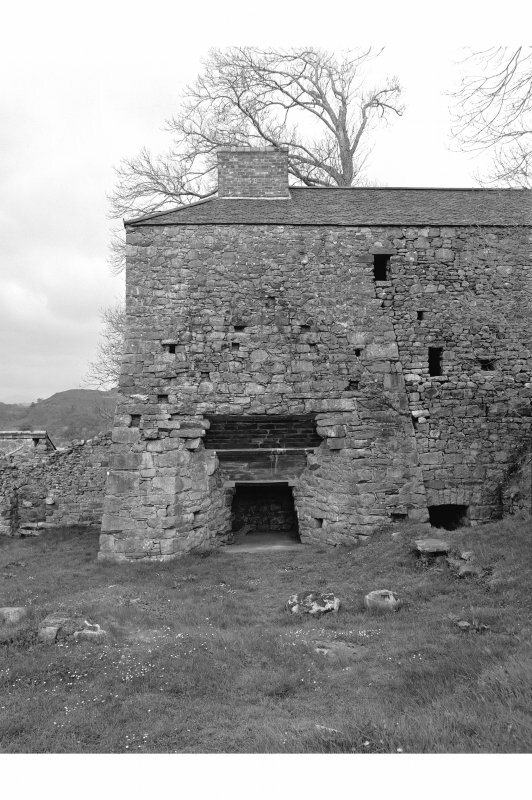 Attached to the furnace are the bridgehouse and fragments of the walls of the blowing-engine house and the casting house. 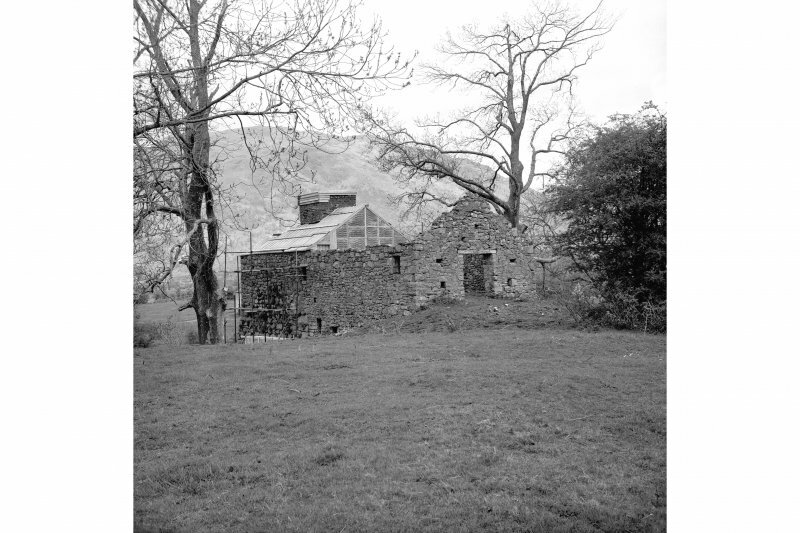 Behind the furnace are three sheds; the larger two were charcoal sheds and the the third, which has partitions internally, was an ore shed. 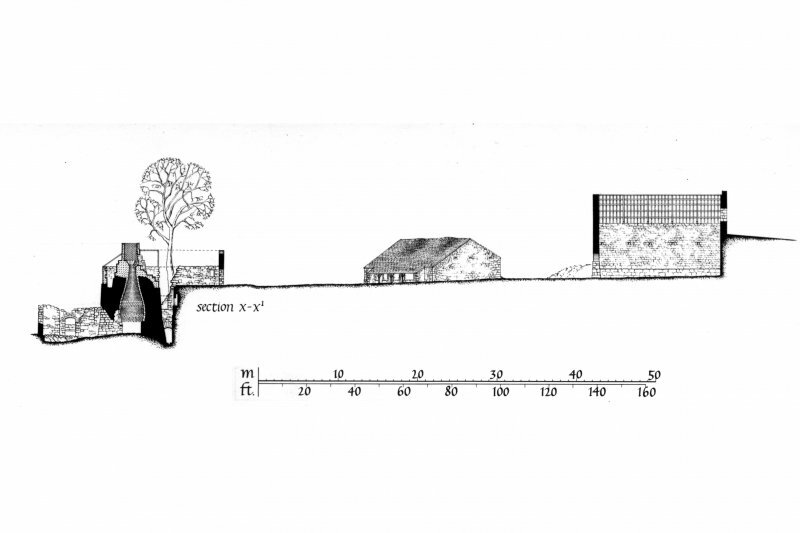 Adjuncts include two ranges of workers' housing (one of them on an L-plan), and a rubble pier (on a T-plan). 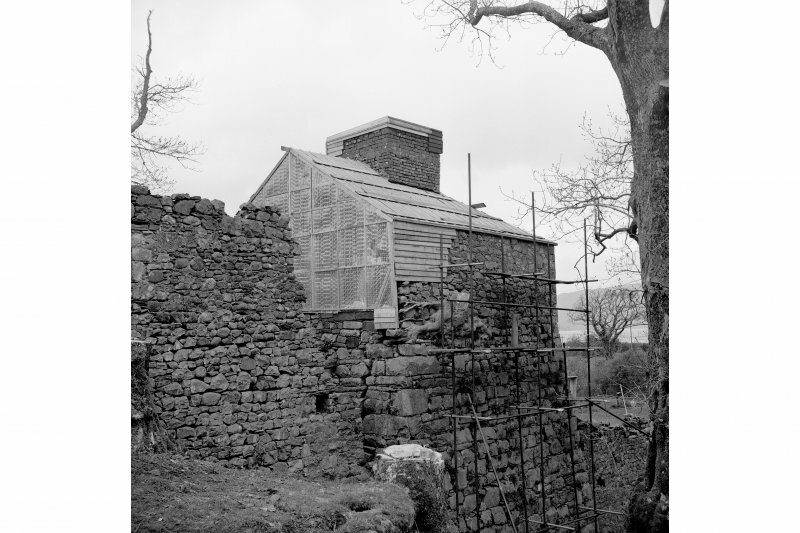 Now a Guardianship Monument, beautifully restored by the Department of the Environment. 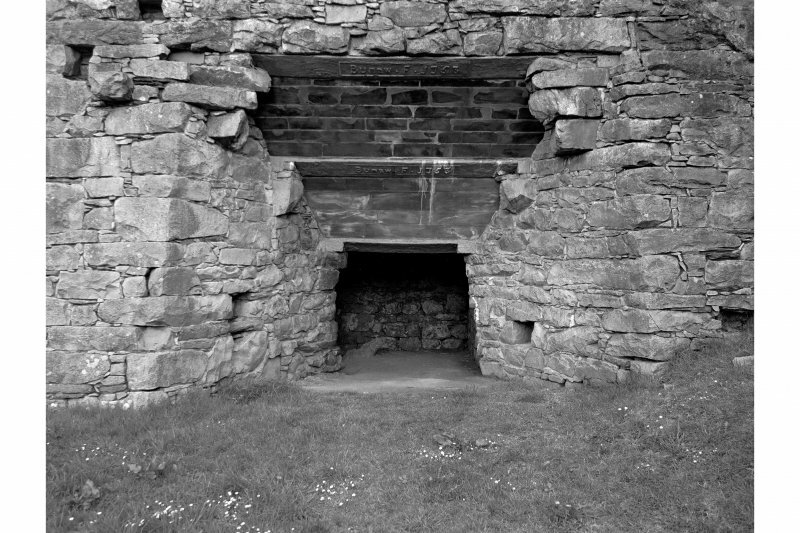 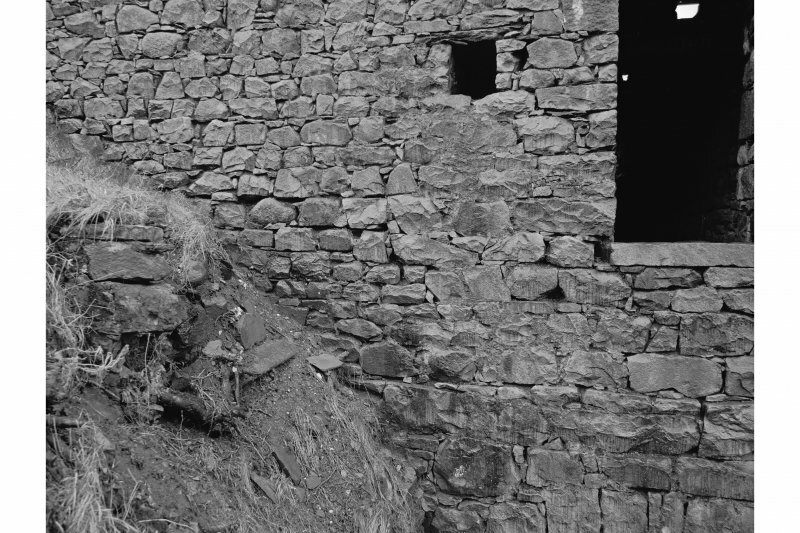 Bonawe (Lorne Furnace). 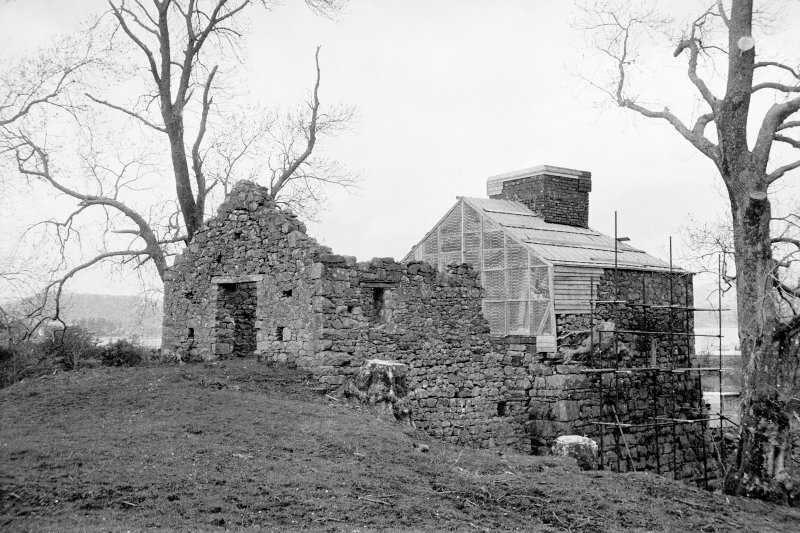 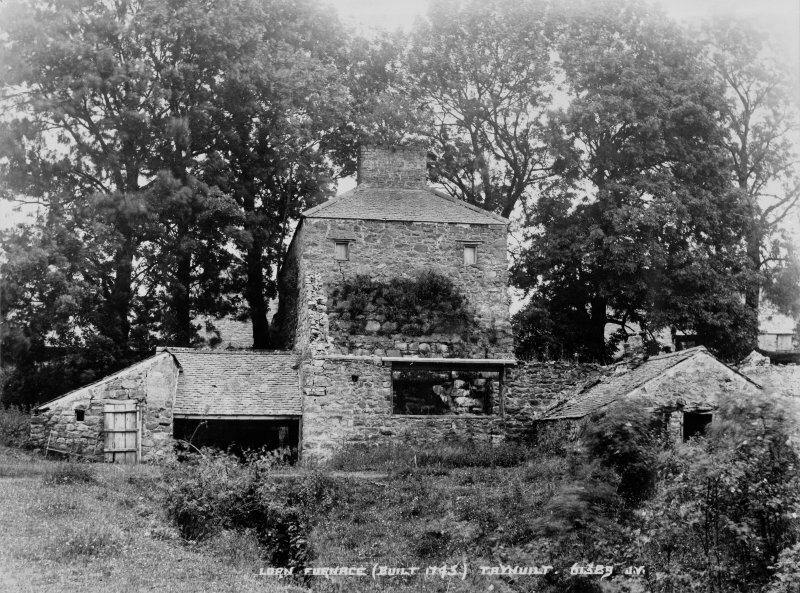 Complete ironworks complex, with furnace ('BUNAW.F.1753' - on lintel), without lining, filling house, ruins of casting house, two charcoal sheds and one shed. 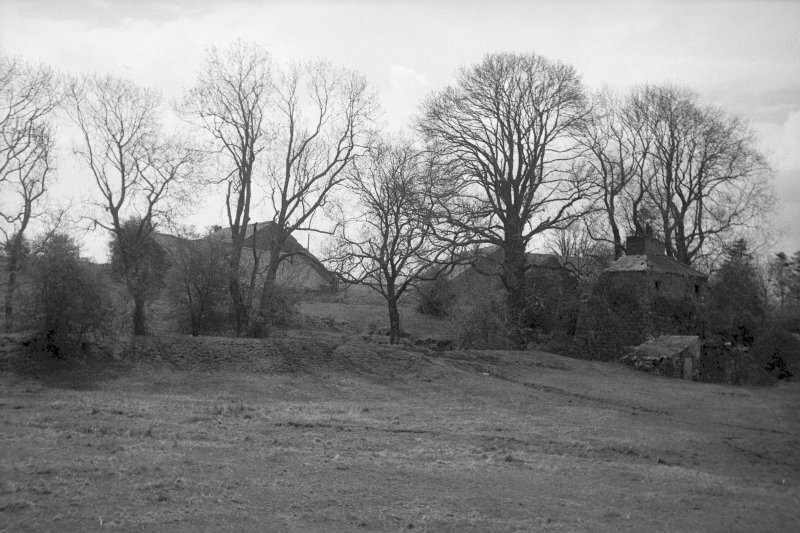 Also fine L-shaped row of worker's housing (2 storey). 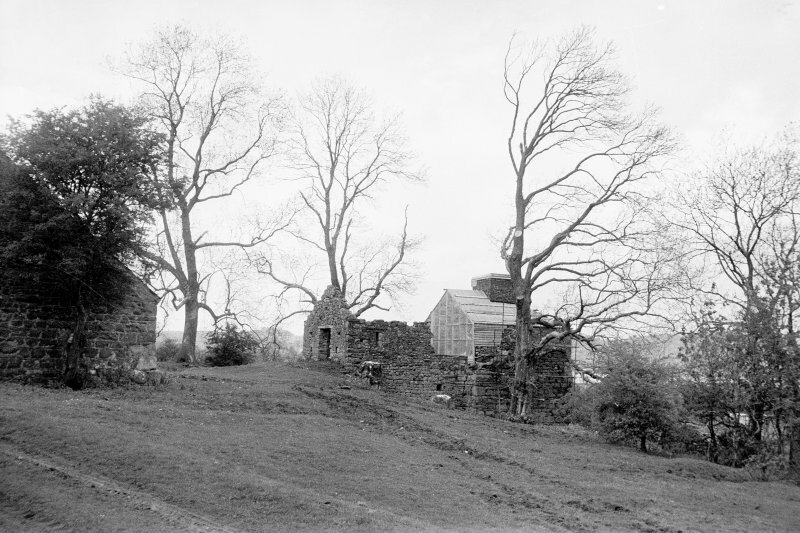 All stone built, slate roofed, houses whitewashed. 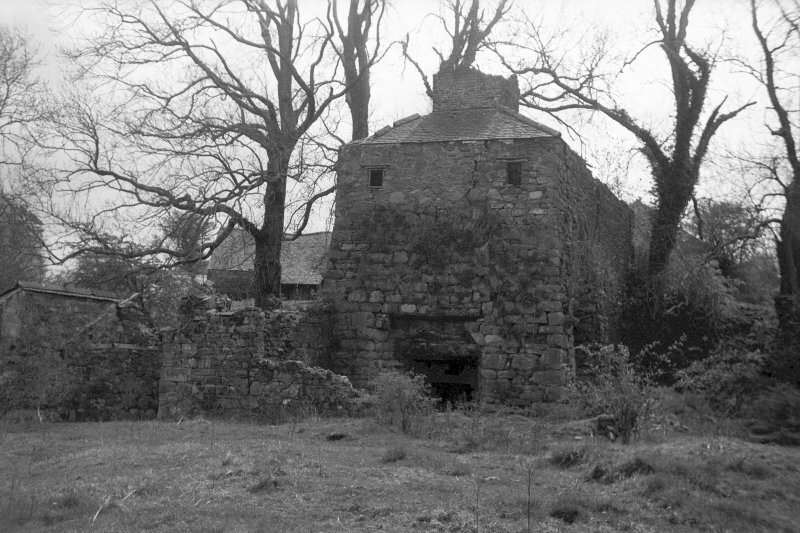 Visited and photographed by J R Hume, University of Strathclyde, 1977. 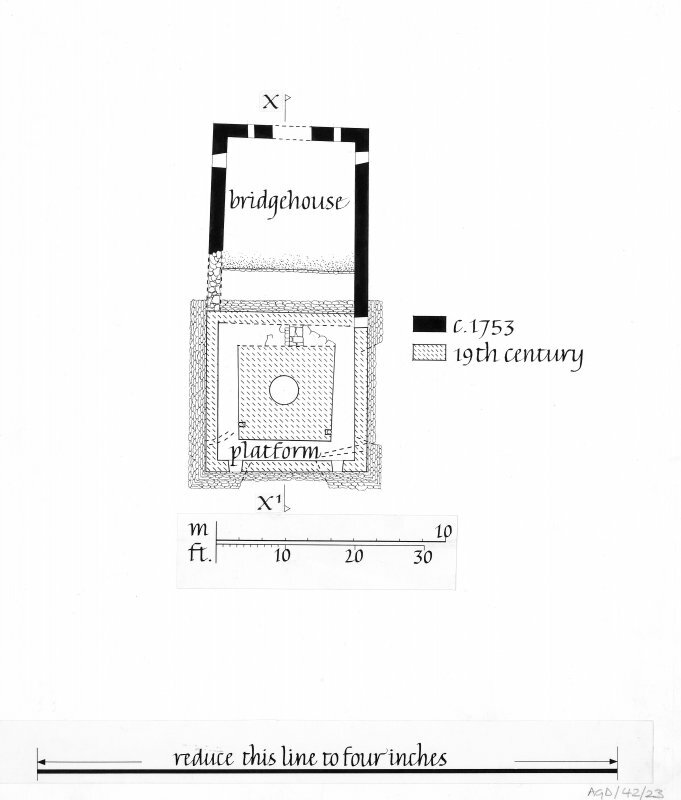 Information from NMRS MS/749/77/1.